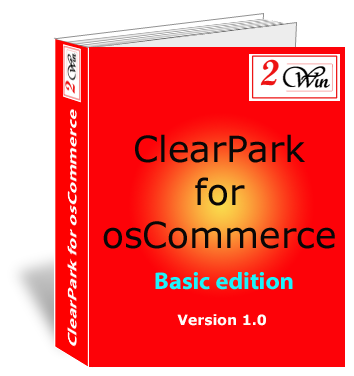 ClearPark for osCommerce is a payment module for osCommerce that use the ClearPark redirect fast track with addendum solution from ClearPark. The basic edition works with a single currency eShop. 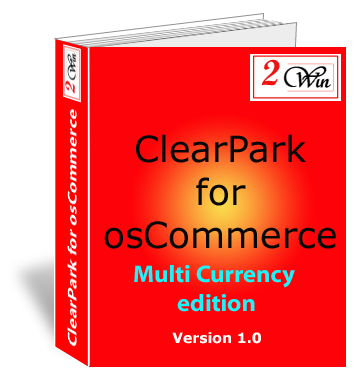 ClearPark for osCommerce is a payment module for osCommerce that use the ClearPark redirect fast track with addendum solution from ClearPark. The multi currency edition is able to manage eShop that propose the products in multiple currencies.